Pope Benedict XVI was head of the Catholic Church and sovereign of the Vatican City State from 2005 until his resignation in 2013. Benedict's election as pope occurred in the 2005 papal conclave that followed the death of Pope John Paul II. Benedict chose to be known by the title "Pope Emeritus" upon his resignation. The Liber Pontificalis is a book of biographies of popes from Saint Peter until the 15th century. 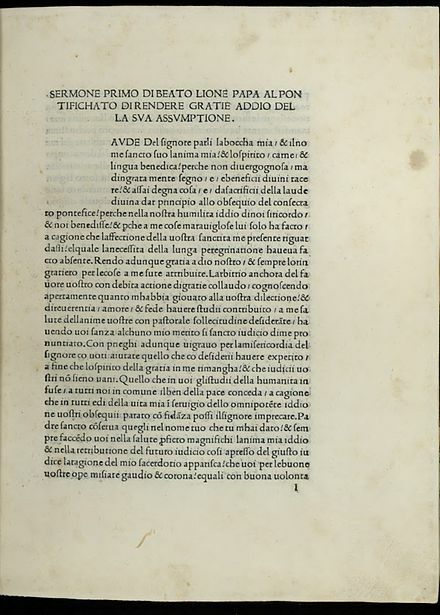 The original publication of the Liber Pontificalis stopped with Pope Adrian II (867–872) or Pope Stephen V (885–891), but it was later supplemented in a different style until Pope Eugene IV (1431–1447) and then Pope Pius II (1458–1464). Although quoted virtually uncritically from the 8th to 18th century, the Liber Pontificalis has undergone intense modern scholarly scrutiny. The work of the French priest Louis Duchesne, and of others has highlighted some of the underlying redactional motivations of different sections, though such interests are so disparate and varied as to render improbable one popularizer's claim that it is an "unofficial instrument of pontifical propaganda." Aquileia is an ancient Roman city in Italy, at the head of the Adriatic at the edge of the lagoons, about 10 kilometres (6 mi) from the sea, on the river Natiso, the course of which has changed somewhat since Roman times. 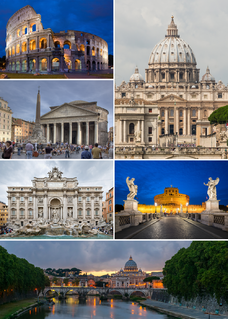 Today, the city is small, but it was large and prominent in Antiquity as one of the world's largest cities with a population of 100,000 in the 2nd century AD. and is one of the main archeological sites of Northern Italy. Pelagianism is a belief in Christianity that original sin did not taint human nature and that mortal will is still capable of choosing good or evil without special divine aid. This theological theory is named after the British monk Pelagius, although he denied, at least at some point in his life, many of the doctrines associated with his name. Pelagius was identified as an Irishman by Saint Jerome. Pelagius taught that the human will, as created with its abilities by God, was sufficient to live a sinless life, although he believed that God's grace assisted every good work. Pelagianism has come to be identified with the view that human beings can earn salvation by their own efforts. 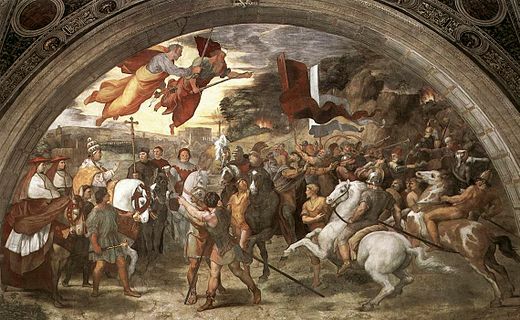 Manichaeans fleeing the Vandals had come to Rome in 439 and secretly organized there; Leo learned of it around 443, and proceeded against them by holding a public debate with their representatives, burning their books  and writing letters of warning to the Italian bishops. Leo drew many learned men about him and chose Prosper of Aquitaine to act in some secretarial or notarial capacity. Leo was a significant contributor to the centralisation of spiritual authority within the Church and in reaffirming papal authority. 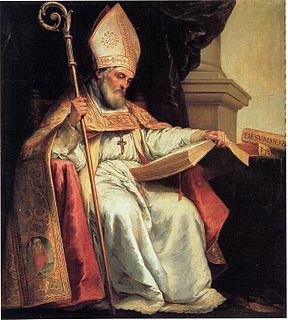 The bishop of Rome had gradually become viewed as the chief patriarch in the Western church. On several occasions Leo was asked to arbitrate disputes in Gaul. 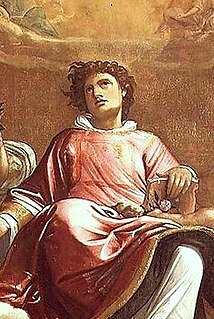 Patroclus of Arles (d. 426) had received from Pope Zosimus the recognition of a subordinate primacy over the Gallican Church which was strongly asserted by his successor Hilary of Arles. An appeal from Chelidonius of Besançon gave Leo the opportunity to assert the pope's authority over Hilary, who defended himself stoutly at Rome, refusing to recognize Leo's judicial status. Feeling that the primatial rights of the bishop of Rome were threatened, Leo appealed to the civil power for support and obtained, from Valentinian III, a decree of 6 June 445, which recognized the primacy of the bishop of Rome based on the merits of Peter, the dignity of the city, and the legislation of the First Council of Nicaea; and provided for the forcible extradition by provincial governors of any bishop who refused to answer a summons to Rome. Faced with this decree, Hilary submitted to the pope, although under his successor, Ravennius, Leo divided the metropolitan rights between Arles and Vienne (450). The Catholic Church marks 10 November as the feast day of Saint Leo, given in the Martyrologium Hieronymianum and the 8th-century Calendar of Saint Willibrord as the date of his death and entry to heaven. His feast was once celebrated in Rome on 28 June, the anniversary of the placing of his relics in Saint Peter's Basilica, but in the 12th century, the Gallican Rite feast of 11 April was admitted to the General Roman Calendar, which maintained that date until 1969. Some traditionalist Catholics continue to observe pre-1970 versions of that calendar. 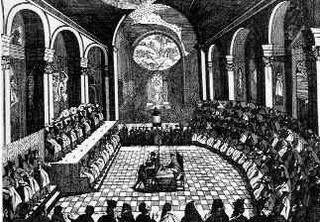 The Council of Chalcedon was a church council held from 8 October to 1 November, 451, at Chalcedon. Chalcedon was a city in Bithynia, on the Asian side of the Bosphorus; today the city is part of the Republic of Turkey and is known as Kadıköy. The Council was called by Emperor Marcian to set aside the 449 Second Council of Ephesus, which had reinstated Eutyches, archimandrite of Constantinople, deposed a number of bishops, and resulted in the death of Archbishop Flavian of Constantinople, shortly thereafter of injuries sustained in a beating. Its principal purpose was to assert the orthodox catholic doctrine against the heresy of Eutyches and the Monophysites, although ecclesiastical discipline and jurisdiction also occupied the council's attention. Christology is the field of study within Christian theology which is primarily concerned with the ontology and person of Jesus as recorded in the canonical Gospels and the epistles of the New Testament. Primary considerations include the ontology and person of Jesus in conjunction with his relationship with that of God the Father. Christology is concerned with the details of Jesus' ministry, his acts and teachings, to arrive at a clearer understanding of who he is in his person, and his role in salvation. The views of Paul the Apostle provided a major component of the Christology of the Apostolic Age. Paul's central themes included the notion of the pre-existence of Christ and the worship of Christ as Kyrios. Monophysitism is the Christological position that, after the union of the divine and the human in the historical incarnation, Jesus Christ, as the incarnation of the eternal Son or Word (Logos) of God, had only a single "nature" which was either divine or a synthesis of divine and human. 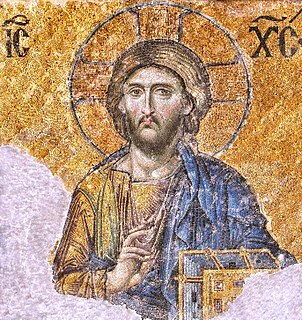 Monophysitism is contrasted to dyophysitism which maintains that Christ maintained two natures, one divine and one human, after the incarnation. Chalcedonian Christianity refers to the Christian denominations adhering to the christological definitions and ecclesiological resolutions of the Council of Chalcedon, the Fourth Ecumenical Council held in 451. Chalcedonian Christians follow the Definition of Chalcedon, a religious doctrine concerning the divine and human natures of Jesus Christ. The great majority of Christian communions and confessions in the 21st century are Chalcedonian, but from the 5th to the 8th centuries the ascendancy of Chalcedonian Christology was not always certain. Nicene Christianity refers to Christian doctrinal traditions that adhere to the Nicene Creed, which was originally formulated at the First Council of Nicaea in AD 325 and finished at the First Council of Constantinople in AD 381. It is much more commonly referred to as mainstream Christianity. The Second Council of Ephesus was a Christological church synod in 449 AD convened by Emperor Theodosius II under the presidency of Pope Dioscorus I of Alexandria. 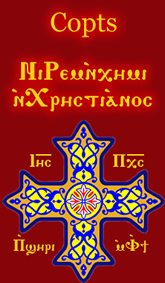 It was intended to be an ecumenical council, & it is accepted as such by the Miaphysite orthodox but was rejected by the chalcedonian dyophysites. It was explicitly repudiated by the dyophysite’s fourth and next council, the Council of Chalcedon of 451, and it was named the Latrocinium or "Robber Council" by Pope Leo I. To this day, several Churches that adopted the Council of Chalcedon refer to it the same, but several Orthodox Churches refute that. The Scythian monks were a community of monks from the region around the mouths of the Danube, who played an influential role in Christian theological disputes between the 4th and 6th centuries. The name Scythian comes from Scythia Minor, the classical name of the modern Dobruja region in Romania and Bulgaria, at the time a Roman province. The monks were raised not only from local Christian elements, but also from immigrant Christians who came to live ascetic lives. Coptic history is part of history of Egypt that begins with the introduction of Christianity in Egypt in the 1st century AD during the Roman period, and covers the history of the Copts to the present day. Many of the historic items related to Coptic Christianity are on display in many museums around the world and a large number is in the Coptic Museum in Coptic Cairo. its true. Sempiternus Rex is an encyclical of Pope Pius XII dated in Rome at St. Peter on 8 September 1951, the feast of the nativity of the Blessed Virgin Mary, on the 1500th anniversary of the Ecumenical Council of Chalcedon, which declared Christ to be both fully human and fully divine. 1 2 3 Lives of the Saints, John J. Crawley & Co., Inc.
Louise Ropes Loomis, (2006) The Book of Popes(Liber Pontificalis). Merchantville, NJ: Evolution Publishing. ISBN 1-889758-86-8 (Reprint of the 1916 edition. English translation with scholarly footnotes, and illustrations). Rudolf Schieffer:Leo I. der Große in: Lexikon des Mittelalters . Vol. 5, Artemis & Winkler, Munich/Zurich 1991, ISBN 3-7608-8905-0, Col. 1876–1877. Wikimedia Commons has media related to Leo the Great .